In high Reynolds number flows, interactions between coherent vortical structures are key to understanding dynamics. In this paper we review methods of control that rely on this observation. Control of vortex dynamics is pursued using a variety of reduced-order representations of the dynamics, such as point vortices, vortex blobs and vortex patches. 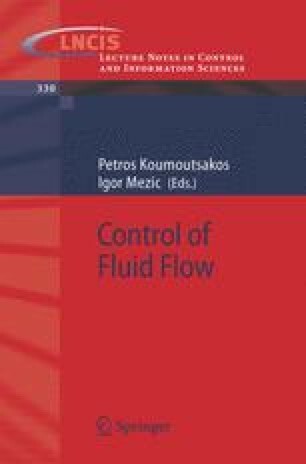 Control algorithms designed based on such representations are applied in many contexts of which we review a few of the most common ones, such as wake vorticity control and recirculation zone vortex control. We also review some of our own work in the area of vortex control concentrated on two-vortex merging interactions. The methods used are those of averaging in the case of limited control authority and the nonlinear control method of flat coordinates.